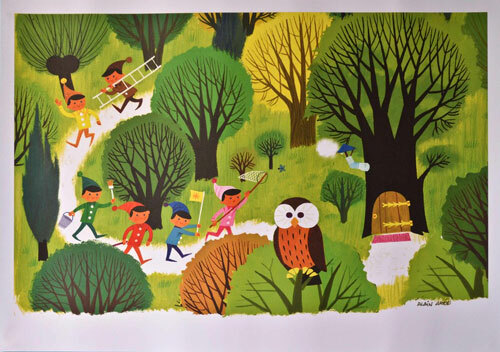 The Anorak site has some work by the 1960s artist Alain Grée on sale, including this wonderful Elves poster. The Breton is pretty hip right now for adults, so this Breton striped top by John Lewis Boy should be quite a hip buy for your little one. The design itself isn’t out of the ordinary, but this Personalised Retro London Bus Wall Sticker by Oakdene Designs wins because the finished product can be so unique to you. If your little one is already showing signs of being rebellious, this Fight The Power t-shirt could be the ideal attire. Playtime with a stylish and retro twist, courtesy of this Moulin Roty purple wooden pram.